Lake Tahoe...where I've spent many a 4th of July. 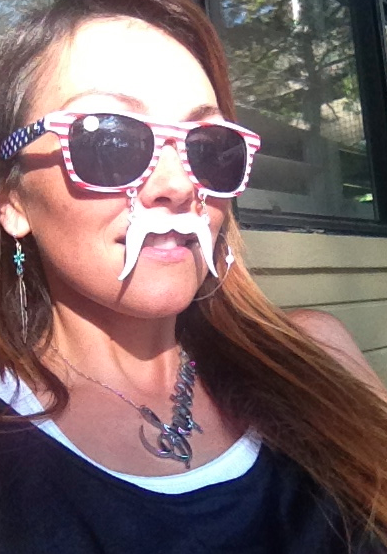 My dad would have loved my "patriotic sunnies"...if you want to know where I got them...from my favorite "mustache sunglasses" company, Sun-staches. 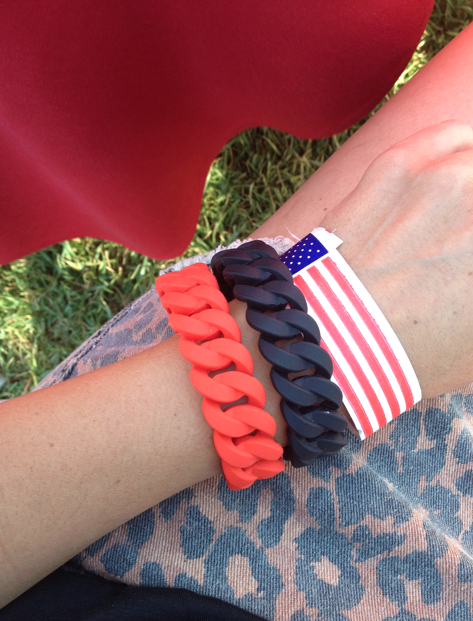 I may not have worn make-up, or done anything fancy with my hair, but I did put some bracelets on. 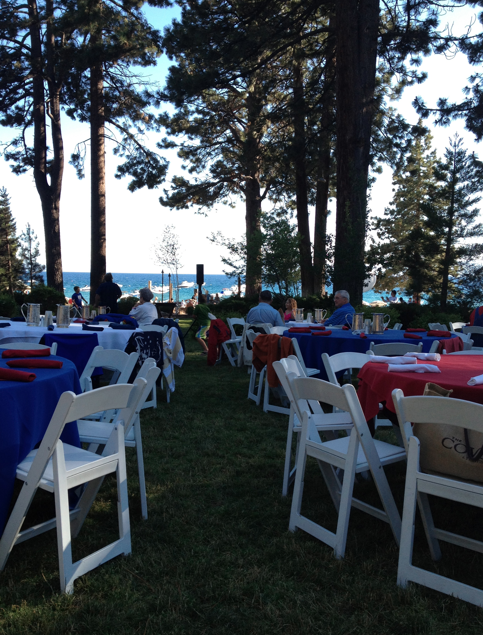 I loved this view...the red, white and blue tables....and the blue of the water. The trees look like beautiful jewelry, decorating the sky. It was a little hard on my heart. I always have fun with my mom and the kids...but I just could help but think how much more fun we'd have with my dad there. I wished my sister was with us too- she always makes things fun. And I tried, in all my moments to have fun, and as Creedence Clearwater Revival's song, Bad Moon Rising- which was one of my dad's favorite songs came on the big speakers at the beach, my heart just missed him so much. I kept thinking all day what he would say about everything...my fun sunglasses, the funny little old men that dressed up on 4th of July costumes, how crowded the beach was, if he would have thought our food was good. My dad probably would have given the little old men thumbs up and told em' how he loved their "festive" outfits. He would have made the kids laugh all day. I know my life will never be the same. As I saw people all day, with their dads...I hope they realize how precious that is. How much people should appreciate each other. 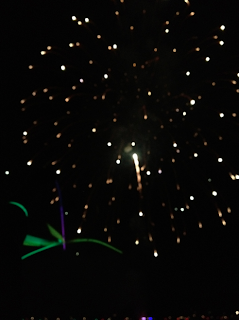 As the tears slowly, stopped running down my face...even as the fireworks were still dazzling the sky...I told all my little family "I love you". Oh, Dad....I miss you so stinkin' much...it hurts. 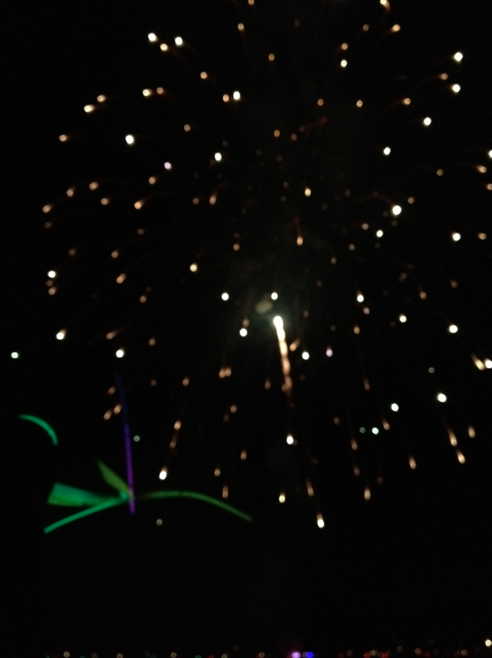 And I know these fireworks are nothing compared the "oohs" and "ahhs" of things in Heaven. 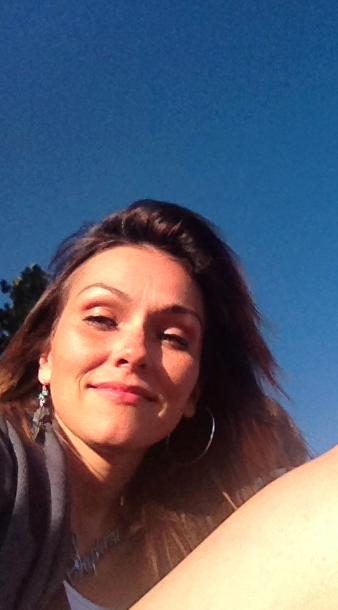 God bless you kandee you inspire me in many ways. Be strong & remember you will have you're dad smile at you face to face once again in gods time. And I cried reading this !!!! You are a wonderful beautiful person Kandee. My dad was my hero, and one of my fondest memories is a family wedding we attended, he asked me to dance to the song "what a wonderful world". My father passed away suddenly this past October. There isn't a single second I don't miss him. Well, last night at the fireworks, they played American music over the loud speakers, and I started thinking about how much my dad loved fireworks, and I thought of just how much I miss him. Well, right then "wonderful world" started playing over the speakers. I knew he was with me and I could almost remember how it felt when he hugged me because I felt his arms around me. Your dad might not be there in physical form, but he's there for you in spirit, bidding you love, peace, and happiness. You always write from the heart..so beautiful even in these hard times. Wishing you much strength and many blessings. Also for your family. Thank you for sharing your thoughts and feeling with us. Kandee, Thanks for sharing this with us-you'll never know how much you inspire others, your smile and kind words warms so many of our hearts..I look forward to reading your Blogs everyday.....a breathe of fresh air...Hugs and Blessings to all!!! Stay strong!!! And remember you will always have your blog family by your side.....well in your computer! !